THE champagne was flowing and the cash was thrown around during the loose parties and boozy boardroom meetings at the Nine Network. It was a man's world and there were no rules. Within the walls of the network's Willoughby headquarters on Sydney's north shore, the boys' club worked hard. And they played even harder. "Chauvinism and discrimination was rife," veteran Channel 9 personality Kerri-Anne Kennerley told news.com.au. "The abuse was fierce," she added, recalling the "vile" way revered network owner Kerry Packer and the "lieutenants" under him would speak to staff. The famous Friday night parties held at the end of every week became the stuff of media folklore. Every Friday, around five o'clock, staff within Nine's headquarters would knock off and head up to the bar. "It was excessive - everything was larger than life. The supermodel thing started going off. It was Amazonian. It was sexual. The excess is what you'd expect of a billionaire's network on a Friday afternoon," Tziporah Malkah, the model formerly known as Kate Fischer and ex-fiancee of James Packer, told news.com.au. While every office in Nine's Willoughby headquarters had a bar, the main one was outside former Nine chief executive Sam Chisholm's office. It's no longer there - it was converted into offices years ago - but the stories about what went on still circulate. "The bar contributed to that particular atmosphere," said Kennerley, who began working at the network as the host of Midday in 1996. She called them "free for all" parties. Kennerley recalled an incident involving a "serious major player (still working) in the media as we speak". "He literally pulled out his old fella and put it on the Channel 9 bar in front of the work experience girl," she said, withholding his name but describing him as "still working" in the industry. She said there was nowhere for people to report bad behaviour and complaints went "unchecked". But this incident received "so many" complaints from staff that the man was eventually let go. Kennerley, whose memoir A Bold Life details much of the behaviour she witnessed, said the man "went out ... (but) they all come back". She said she wasn't a regular fixture at the Friday parties, adding: "I didn't need a promotion that bad". Kerri-Anne Kennerley at Melbourne's Crown Casino for the 1998 Logie Awards. Following the allegations against Don Burke this week, Chisholm was asked by Fairfax if the network did enough to stop the behaviour. He said he didn't know. In a statement this week, Nine deemed the behaviour detailed in the Burke allegations as "completely unacceptable" and said it "would not be tolerated" by the network in today's media landscape. Just as legendary as the Friday night drinks were the boozy, catered boardroom meetings. "(Executives) act in the most disgraceful manner and talk in the most disgraceful manner," Kennerley said. One former employee who worked at the network at the time said the infamous boys club was "volatile" and encouraged a culture of bullying. "It was appalling - men could behave like anything while women could be sent emails and told they need to lose weight before they went on air," they said. Kennerley recalled the "tirade of abuse" executives would throw at staff if they were not happy. Sometimes it would be for making a mistake. Other times for asking a question. A lot of the time, there was no reason. "The abuse was fierce," she told news.com.au, remembering two particularly bad responses to questions she asked of an executive. 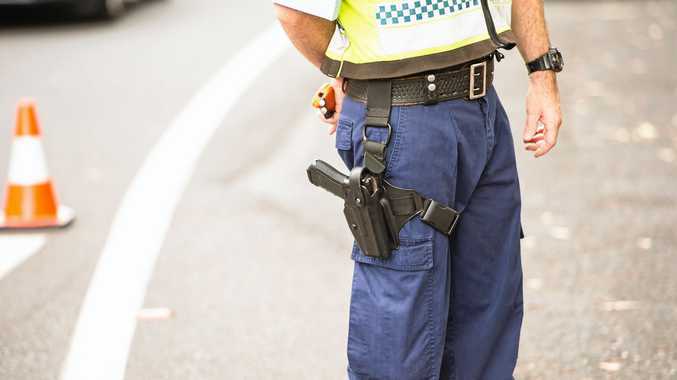 "It was explained in very yelling, loud, screaming, abusive language to the point where I actually thought he was going to have a heart attack," she said. "He was exploding so much I thought he was going to lie down and die. And I wasn't going to give him mouth-to-mouth." Kennerley copped a tirade of verbal abuse while hosting Midday on Nine. While Kennerley said she didn't have any "serious issues" with misconduct other than with verbal abuse, she detailed three confronting accounts. One was with a "very important network person" who began unzipping her dress at a show function. The incident is detailed in her new memoir. "I said zip it up or I will deck you," she recalled. Two incidents involve Don Burke. "It happened in my home," Kennerley said of the two times she was pestered by Burke, the former host of Burke's Backyard who this week has denied and disputed numerous claims of misconduct and sexual harassment. Twice Burke came to her homes to film segments for his show - once at Hope Island, the other in Sydney's Woollahra. Her make-up artist witnessed one of the incidents. "I think Don is the absolute worst," she said, adding he was a "grubby, grubby guy". "The experience with Don Burke was just appalling. I do remember being fiercely abused in the most foul language. I remember quite verbatim what Don Burke said. But I ignored it. So did most of the other girls." ‘Grubby guy’ ... Kennerley appears with Don Burke in a book commercial in the mid-2000s. Kennerley said she and a lot of other women tolerated the behaviour and would "draw the line and put men in their place and carry on with what we were doing". But not everyone was able to do that. Following the claims of misconduct against Burke this week, Kennerley said she wasn't shocked. "Don also wasn't the only network star to behave as badly as that. They're all over the shop and it was an era." 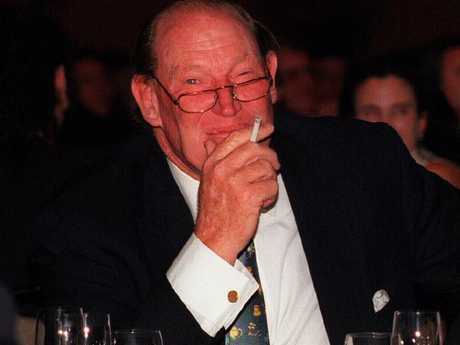 ‘KP would turn his tongue to fairly vile language’ ... Kerry Packer in 1996.